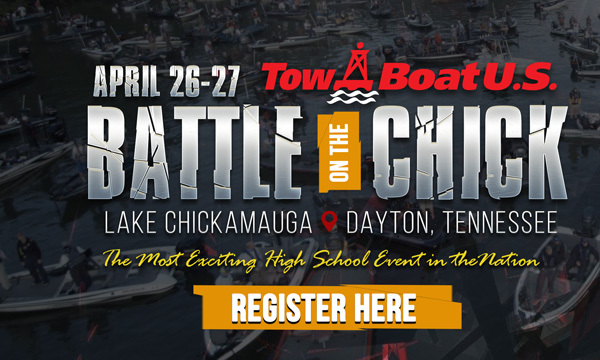 The 2019 TowBoatUS “Battle of Chickamauga Classic” presented by CATCH Ministry is set for April 27-28. Get registered today! 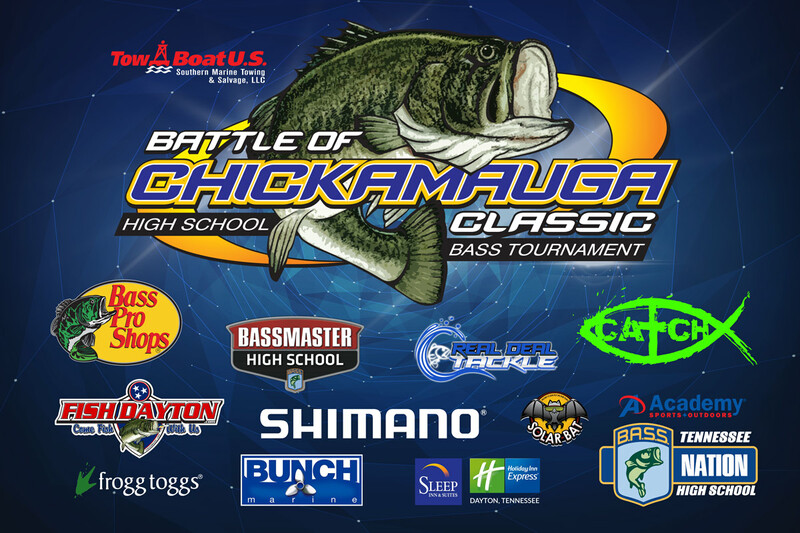 (MANDATORY) Rules & SAFETY Meeting – Dayton Boat Dock – rules covered by TN BASS Nation & CATCH Ministry. Launch from any area public ramp with primary ramp being located at 175 Lake Shore St in Dayton, TN at the Dayton Boat Dock. idle to Bluewater Resort and Marina for Prayer, National Anthem, and the CANNON BLAST!